When is a promise not a promise? In my household, safeguarding of confectionary and sharing of toys are both subject to frequent exemptions. But beyond domestic squabbles, the subject is getting an airing in the pensions world. In the firing line is the defined benefit pension. This is the kind that gives retirees an income for life based on your pay and length of service. Payments rise with prices. 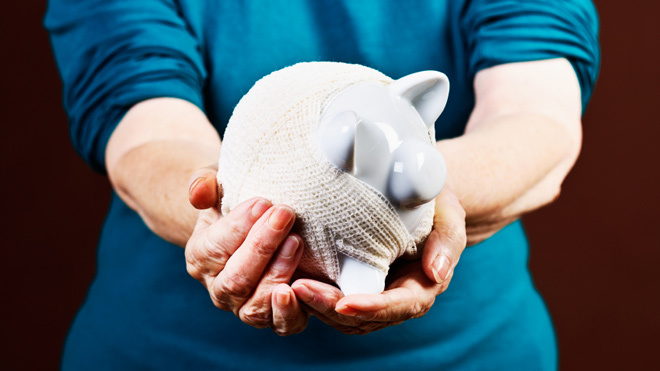 The last week has seen an increase in pressure on the government to allow employers or schemes to cut pension benefits that employees and former employees have accrued. First, pensions trade body the Pensions and Lifetime Savings Association hinted at “flexibility” in its review of DB pensions. Then, this morning, the employers’ lobby group, Confederation of British Industry, went further and called for a cut in the rate that many schemes raise pensions to match prices. What happens to DB pensions is not of marginal interest. Around 11 million people have benefits built up in DB pension schemes established by their companies. A similar number have public sector DB pensions. These entitlements are as much pay – albeit deferred pay – as the cash that goes into your bank account. At the TUC we are focused on ensuring that workers build up enough savings for a decent standard of living in retirement. Thanks to the short-sightedness of policymakers through the 1980s, 1990s, and 2000s too many good quality pension schemes were allowed to wither away. Lots of workers received no pension contributions at all. This situation is only now – slowly – being reversed with the introduction of automatic enrolment. So DB pensions must be nurtured in our battle for adequate incomes in retirement. The pension promise matters. The case for cutting accrued benefits without member consent looks superficially attractive to some employers and some schemes. But the case has not been made that this would amount to much more than a transfer of money from one group, pension savers, to another, shareholders. This is at a time of near-record corporate profitability. The law already contains provisions for past benefits to be cut, if members say “yes” or the employer gets into difficulty. Most pension schemes base their valuations on the yield of gilts (government-issued debt). These have plunged since the financial crisis as a result of the Bank of England’s attempt to boost the economy. Therefore many schemes’ purported deficits, a measurement of the gap between the money in the scheme and the pensions it will pay, have risen. For members the size of the deficit becomes of significance if the sponsoring employer becomes insolvent. If the scheme does not have enough money to give an insurer to pay its pensions, it goes into the Pension Protection Fund. The PPF pays the vast majority, but not all, of the promised benefits. The result of the clamour is a dusting down (it was rejected as recently as December 2010) of demands that the law be changed so that employers or scheme trustees (this distinction is important but often vaguely defined) be allowed to cut promised benefits. Usually the stated target is the inflation measure. Some scheme rules require them to use the Retail Prices Index to increase pensions. Others have moved to the typically lower Consumer Prices Index. There are a number of reasons why this is approach is unwise and unfair. A pension promise is still a promise. You wouldn’t expect your boss to come and remove your car to rejuvenate to his business. So why should be able to take away some of the pension you earned, without seeking your consent? Such a change would see a transfer of assets from savers to shareholders. This would be a strange priority at a time of near-record high corporate profitability. The Pension Regulator says of the FTSE-350 companies making deficit recovery contributions, half are paying dividends 11 times higher (up from six times in 2010). Inflating this figure still further would be a strange priority while we are still worried about people’s provision for retirement. Occasionally, the demand is framed in terms of intergenerational fairness. Older workers are more likely to have DB pensions than younger ones. And the defined contribution (DC) pensions many young people are enrolled in typically get far lower contributions. However, short of placing an obligation on employers to put sums saved on cuts to DB pensions towards DC pensions, such reform would not improve this. But both the PLSA and CBI are lobbying for changes that might see more money put into DC pensions delayed until at least 2019. There is a real risk that what is seen as a tool to be used in extreme circumstances will soon become the norm. Benefits could be cut even at the strongest schemes. When one benefit goes, others could follow. Today the main benefit in the spotlight is the rate at which pensions increase. Most of us don’t understand inflation. In future there could be demands for changes to past accrual rates, which decide the proportion of your income that will be paid in pension (1/80th, 1/60th etc). The CBI is seeking a review to remove other legal obligations from schemes. The area is fraught with legal complexity. Some schemes have Crown Guarantees. Others have rights secured by law. Repealing these would be horrendously complicated. What about those who bought additional service from their workplace schemes? They paid the full value of those extra entitlements, which included the value of the inflation uprating. The system already has some safety valves in place. There are mechanisms under s67 of the 1995 Pensions Act that allow past benefits to be changed with member consent. Those firms facing insolvency can pursue Regulated Apportionment Arrangements. If we want to relieve the pressure on schemes and employers, there are other approaches we should try first. The first thing to do is look at the basis for scheme valuations. There are strong arguments that basing these on gilts is no longer appropriate. Other measures that more accurately reflect likely investment returns would ensure that those shemes with decades to run are investing for the long term. Indeed both the PLSA and CBI reports contain useful ideas about improving the diversity of assets scheme can invest in. Any reform agenda should also encompass building scale and efficiency in the UK pensions sector to ensure that it operates efficiently. the UK has 6,000 DB schemes. The equivalent for the Netherlands is around 300. In short, these pension promises matter far more than disputes about who ate the chocolate or the precise ownership history of a small plastic tractor (though in my life, these matter very much too). DB pensions provide a vital underpinning to our efforts to ensure that people have adequate pensions in retirement. We could do more to ensure schemes operate as effectively as possible and are focused on the challenge of providing benefits that arise over many decades to come. Meanwhile, we need more urgency in the task of ensuring that all workplace pensions provide members with a good chance of a decent standard of living in retirement. (1) The change of “pension promise”, or more precisely pension expectation demands reference to state pensions. The increase in state pension age, most notable for females, mirrors the CBI lobbying. The 2011 RPI to CPI change didn’t cost too many votes despite being valued at £105bn in public sector pension contract terms. (2) I think western society (democracy) is more to blame for low interest rates than the Bank of England. “We” have to service unsustainable personal, corporate and national debts and low interest costs and cheap borrowing is considered politically acceptable. Japan has been in such denial for decades. (3) The new public sector (career average) pension promises introduced in 2015 involved an interesting mix of pension fractions (2.32% to 1/61.6) and (pre-retirement) revaluation rates from CPI to NAE. There are some significant inter generation issues in there. (4) Ignoring gilt yields for actuarial valuations is equivalent to putting your head in the sand unless you have guaranteed or near guaranteed income to rely on from other taxes, tolls, levies or duties, infrastructure or utilities etc. Rents and dividends aren’t guaranteed. (5) The real challenge on benefit compromise is whether it should only come after the sponsor becomes insolvent. Most of the rest of the world is better at fudging debt burdens than we are. My solution is compulsory compound interest education in primary school! When the new state pension was being discussed why did the TUC not fight harder for people not to loose part of their state pension which was cost of living increases paid on their GMPs via the way the state pension. Possible loss of up to about £23,000 and especially to allow the Government and DWP not tell people about the loss of GMP increases. Surprise surprise,the Government has passed a special law to make public service schemes take over the payment of GMP increases normally paid by the DWP for people reaching state pension on and after 6 April 2016 and before December 2018. No thought about the private sector.